Home > News > Bon Dance!!! 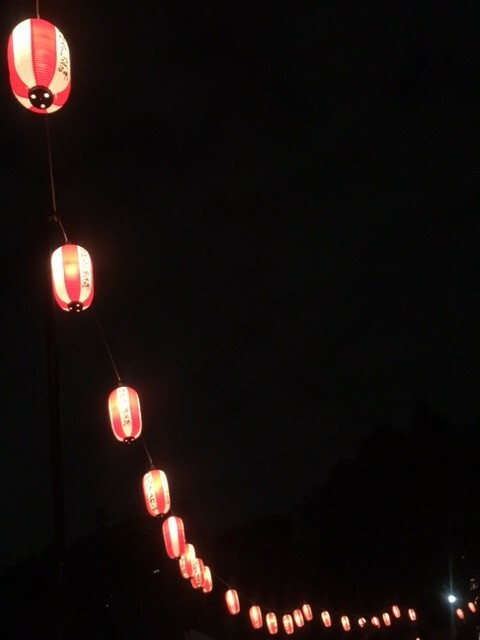 Went Bon Dance Festival at Hibiya Park. Last year, around 40,000 people visited this festival in just 2days. Also there were many kind of food and drink wagons, beer, juice, shave ice, fried chicken, okonomiyaki, french fries, kebab, yakisoba, etc. Here is Bon dance Place! Several people know very well how to do Bon Dance. 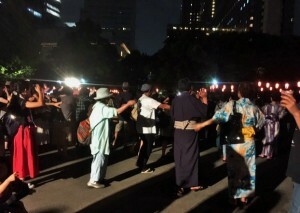 So everyone is watching them and trying to do Bon Dance! 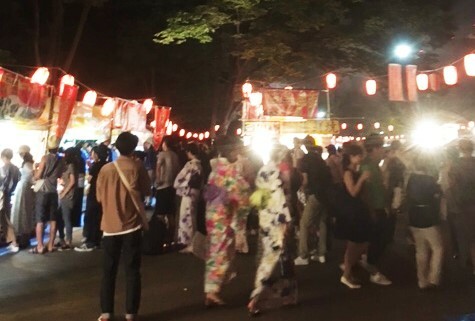 Not too difficult, everyone can enjoy bon dance even if it’s first time! Nice music, nice food and drinks, nice temperature! It’s typical Japanese summer thing! Copyright © 2019 SOSHI'S TOKYO BIKE TOUR All Rights Reserved.